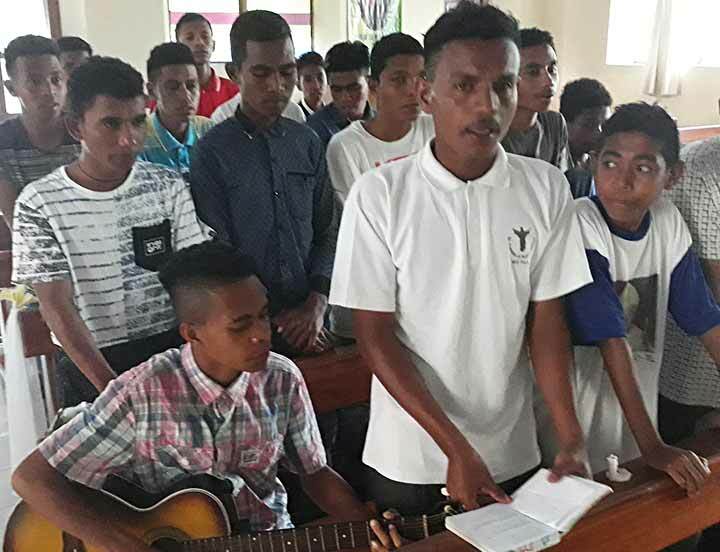 Laga, Timor Leste, 21 April 2018 -- The heartland of Timor Leste, close to the mythic Matebian (Mountain of Souls, 2316 meters), a sacred mountain for all Timor Leste people is also a Don Bosco heartland, thanks to the heroic evangelization work of many missionaries especially during the tough times of Indonesian invasion in the country. 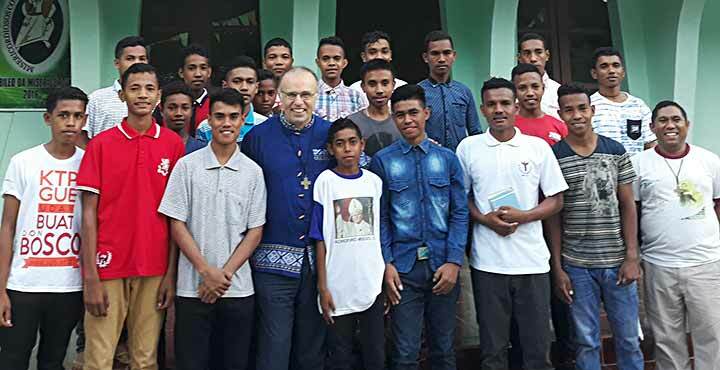 The parishes of Baucau, Laga and Quelicai comprise dozens of villages with many schools and chapels, a visible fruits of patient education and evangelization carried on by Fr. Joao de Deus and many other 'first hour' Salesian missionaries. 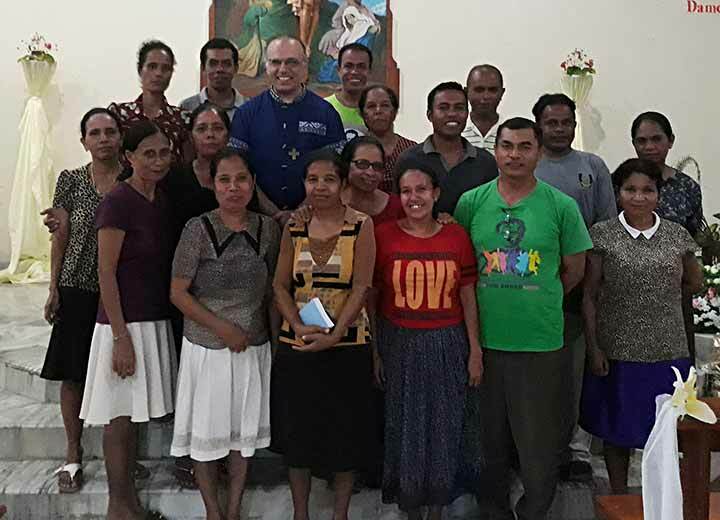 Parish of Laga is located in one of the subdistricts of Baucau, a small town with 25 catholic schools, 172 teachers and 4986 students with a Catholic population of 20.000 believers. The parish of St. John Bosco is a witness of the historical visit of Fr. Egidio Vigano in 1988 and among the 14.000+ Catholics are also shining three groups of the Salesian Family - large number of Don Bosco Alumni (Past Pupils), the best organized group of ADMA (Archconfraternity of Mary Help of Christians) with four different groups in the main parish pastoral centeres and recently (2017, November) established third Timor Leste Center of the Salesian Cooperators. 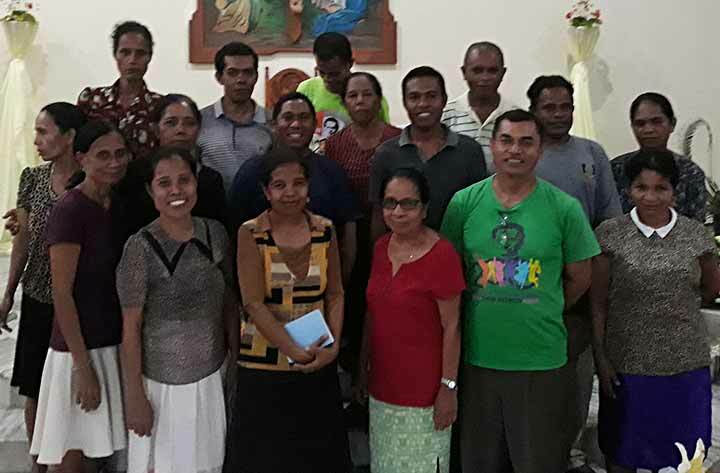 "We are full of joy due to the spirit of assistance exercised by the Salesians and for their formation"
"We are happy as ADMA members due to our consistent visit with the Rosary from house to house as well for our regular pilgrimage to the National Shrine of Mary Help of Christians in Fatumaca." "We are happy for many Salesian vocation of SDB and FMA born in our parish"
"We are happy due to the presence of many missionaries in our parish"
"We are attracted by the sympathy to Don Bosco and his spirit of Da mihi animas"
"Yes, we learnt in the Salesian school, that nobody goes alone to heaven!" "I'm grateful for the gift of my life and the spirit of Don Bosco experienced in Don Bosco school"
"We are happy beacuse we can face many challenges with the spirit of the Preventive System of Don Bosco"
"Being close to the youth, present among them and being part of the large Salesian family makes us happy"
"Working together with the young makes us happy"
"The Salesians are really focused on the youth - just to continue this life style!" "The Preventive System of Don Bosco changes the life of our youth - no violence as before!" "Yes, we are very grateful for the gift of Don Bosco - our cool hearts are warmed again and again"
"Modern time are very hard for us educators: becomes very difficult to call youth attention closer to Jesus"
"There are some critics of the Salesian poverty, but we always remember that Br. 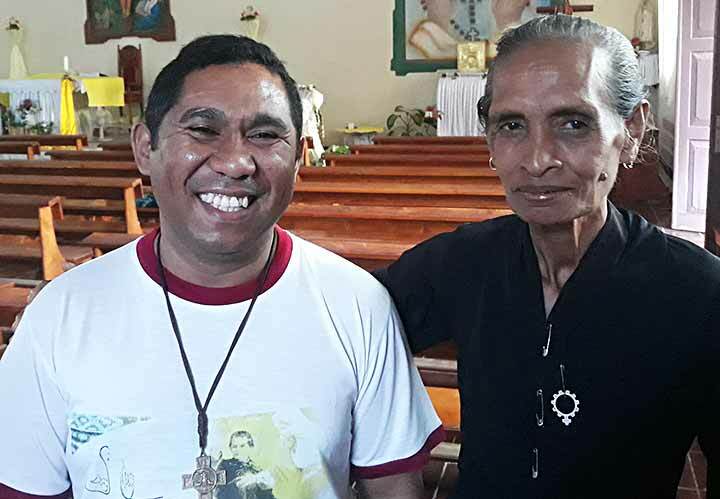 Carlos Gamba was sleeping in his Fatumaca carpentry workshop on the floor..."
"We need more Salesians in our large parish with dozens of villages hardly to reach and scattered in the mountains. 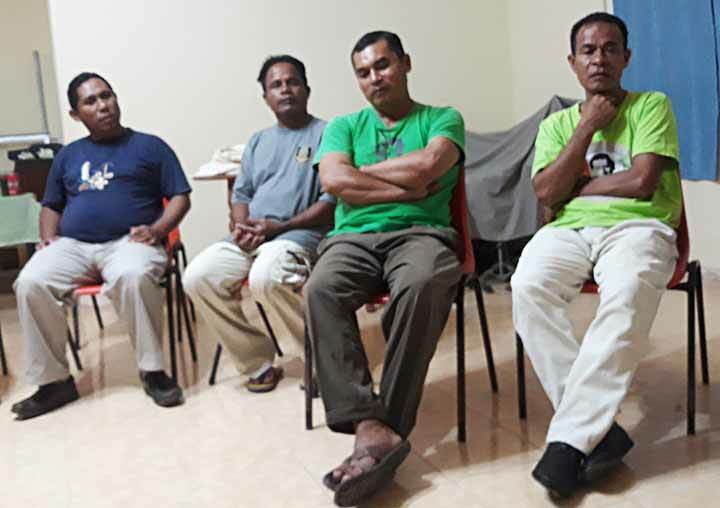 We need at lest two more Salesians, since they are too tired between six days teaching in the schools and on Sunday celebrating four Masses in the chapels." 4705(V)_Did you read the best biography of Don Bosco? 4704(II)_How to attract the young people to the Catholic community?